With the ever growing popularity of the Internet, important documents are no longer stored solely in safety deposit boxes. Increasingly, financial management is performed online and records are stored on a computer hard drive. In addition to online bank accounts, your digital assets could include business documents, online profiles and auctions, and family photos. This means that things can become tricky for family members when someone becomes mentally incapacitated or passes away. How would one access those online bank accounts? What should be done about those social networking site profiles? Consider appointing a ”digital executor” to handle such needs. The digital executor should be someone who is both trustworthy and digitally savvy. It’s a good idea to provide such a person with a list of usernames and passwords to all important accounts. This list could be printed out or burned onto a CD and given to an attorney or stored in a location to which only the digital executor has access. It is also beneficial to provide this person with instructions about whether certain accounts should be deleted, altered in some way, or passed on to heirs. While the courts offer centuries of legal precedent concerning real property and paper documents, there are many gray areas when it comes to online recordkeeping. Although existing family members may be able to gain access to online accounts after the owner passes on, the situation can be trickier from a legal perspective if the person is mentally incapacitated. To help avoid any potential problems, it is best to consult your attorney about handling these important details. Serving as someone’s executor, or personal representative, is a big job that comes with many responsibilities. While being chosen is often considered an honor, there is a lot of work involved, and an executor must be organized, pay strong attention to detail, and capable of meeting deadlines. You may be tempted to name someone in your family as your executor in order to avoid hurt feelings, but your family and heirs will not be well served if you choose your executor based on anything other than ability. Choose someone who is trustworthy. Your executor will have knowledge of all your finances. He will be reviewing estate assets, determining your liabilities and paying off creditors, settling outstanding debts, and making distributions to your named heirs. That’s not the kind of information you want spread around, so you’ll need to choose a person who will be discreet. Choose someone who is organized. The person you select will be responsible for a large number of detailed tasks. He will need to make lists of assets, meet court deadlines, and make timely distributions for estate taxes. Not completing these actions in a timely and organized manner can draw out the entire process, costing your heirs time and money. Choose someone who is financially knowledgeable. If you cannot think of a person you can entrust with all of these responsibilities, you should not lose faith. There are other options for you to consider, such as choosing a bank or a financial institution as your executor. Also, you have the option of asking your estate planning attorney to partner with the person you choose as executor to help with the difficult tasks and ensure a smooth probate for all involved. While some people think that creating an estate plan on your own is a simple task, this couldn’t be further from the truth. In fact, there is a lot of legal knowledge, personalization, and attention to detail that goes into an estate plan. Even if you are young and think you have negligible assets, you should consult a professional. There are simply too many things that can be left out or misunderstood, and sometimes things just go wrong. Even a small mistake in an estate plan can lead to big problems, even invalidating your entire plan. Although a will does not have to be notarized in some states, most states do require you to sign your will in the presence of witnesses. Failing to do this can result in your estate plan being invalidated. It is important that you choose a backup guardian for your minor children in case your first choice is unwilling or unable to care for them. Failing to do so can cause great problems for your family after your death. Although there is no estate tax in 2010, many heirs will actually end up paying more because of capital gains taxes. Upon your death, your will becomes a public document, and this could leave your heirs open to criticism, claims, and contest suits by predators or unhappy relatives. Any of these issues could present problems for those completing estate plans on their own. An estate planning attorney, however, could easily anticipate and address these issues. You should contact an estate planning attorney to ensure that your estate plan is current and complies with all state and federal regulations. It is sometimes difficult for us to know when one of our loved ones is unable to care for himself. Even if the signs are present, it is often hard to admit that this is happening. The signs often develop gradually, and they aren’t always easy to pick up on if you see your loved one regularly. Sometimes, no one notices until a son or daughter who has moved away comes home for a visit and recognizes a decline in a parent’s ability to perform basic tasks. Once you have noticed these signs you will need to figure out what level of care is needed and how you will pay for these services. Your loved one may need a small amount of help with housekeeping and other daily activities, or more comprehensive care may be necessary. Although it can be difficult discovering that someone close to you needs care, it is not a process you have to go through alone. An elder law attorney can give you advice about the type of facility that would best serve your loved one’s needs or whether he can be cared for at home. With careful planning and review, your retirement savings can provide for your loved ones after your death. By taking a few simple actions, you can ensure that your benefits are awarded to the right person and will protect your family. Making arrangements for the distribution of your retirement assets after your death is relatively simple. When you start a new job or open a retirement account, you’ll be required to fill out beneficiary forms that designate whom you want to collect on your savings. Unfortunately, it’s fairly easy to forget about these forms as the years pass by, and many people inadvertently leave their retirement assets to an unintended individual, such as a divorced spouse, rather than the current spouse or their children. 1) Make sure that you review your beneficiary designation forms every 2-5 years or whenever you experience a major life event, such as the death of a spouse, a second marriage, or the birth or adoption of a child. 2) Name contingent beneficiaries so that your family will be provided for if the primary beneficiary pre-deceases you. While you may think that naming your spouse as your primary beneficiary is enough, you can never be too careful with the assets that will help support your family. 3) Do not rely on your will to take care of your retirement assets. A will does not control the disposition of any asset that has a named beneficiary (including life insurance, pensions, trusts, and retirement accounts). Any named beneficiaries on your retirement account, therefore, will override any beneficiaries named in your will. If you wish to leave your retirement assets to a trust, you should seek the advice of an estate planning attorney. 4) If you’ve made the choice to name minor children as beneficiaries, you need to make sure you name a guardian for them and a trustee for their assets. Your retirement funds may be used to provide for the kids if anything happens to you, but minors are not legally allowed to control assets. They will need someone to manage their inheritance for them until they come of age. Following these simple steps will ensure that your retirement assets work together with your overall estate plan. An estate planning attorney can help guide you through the process of making the proper designations and incorporating your retirement benefits into your estate plan. Probate is the process by which a court determines the authenticity of a decedent’s last will and testament. The executor’s job is to carry out the decedent’s wishes as set forth in the will. While probate sounds like a simple process, it almost never is. Even in the best of circumstances, there are procedures that must be followed strictly, and the probate process can take anywhere from months to years. Creating a good will can help shorten the probate process; however, even with a will, there are elements outside your control. distributing the estate assets as directed in the will. The probate process can be further complicated if beneficiaries cannot be located or if a beneficiary contests the will. Going through all of these steps on your own can be difficult. An experienced estate law attorney can guide you through the probate process by helping you file the appropriate court documents and protecting the inheritance of beneficiaries. Because their home is their largest asset and their greatest source of equity, many choose to take out a home-equity loan. However, a home-equity loan may not be a sound option, since the money must be paid back, with interest. Luckily, there is another option available to seniors. A reverse mortgage allows them to gain equity without adding financial pressure to their lives. A reverse mortgage is an easy way of accessing your home equity without creating monthly payments. The money received from a reverse mortgage does not have to be paid back during a person’s lifetime. Instead of making payments, as with a normal home-equity loan, the cash flow is reversed and the senior will receive payments from the bank. Not everyone will qualify for a reverse mortgage. One of the major eligibility requirements is that the person applying for the mortgage be at least 62 years old and occupy the home as the principal residence for the majority of the year. The loan only becomes due when the last borrower permanently leaves the home. While there are many benefits to this process, there are certain drawbacks that seniors should consider carefully before choosing this option. If, for example, the senior who takes out the reverse mortgage is not entirely competent, his power of attorney or guardian may be able to access the funds received from the reverse mortgage. Seniors considering a reverse mortgage should contact an elder law attorney who can guide them through the process. 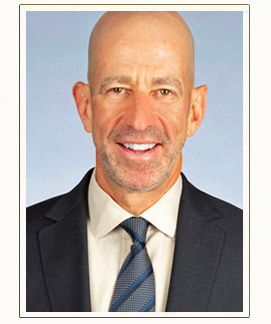 Bernard A. Krooks, Esq., managing partner of Littman Krooks LLP, will teach a seminar on “Fraud and Exploitation of the Elderly” at Pace Law School in New York City on June 16. The course is being conducted in recognition of World Elder Abuse Awareness Day on June 15. World Elder Abuse Awareness Day was established in 2006 to increase understanding of the problem of elder exploitation and neglect and to protect the dignity, rights and financial security of seniors. The seminar will focus on the financial exploitation of seniors, in many cases committed by a close relative or other trusted person. Lessons from the Brooke Astor case will be used as illustration. In addition, recent changes to New York’s power of attorney law will be examined, some of which were designed to prevent elder financial abuse and to protect seniors from the mismanagement of their affairs by caregivers. Bernard Krooks has been recognized as one of the “Best Lawyers in America” and as a “New York Super Lawyer.” He is the newly elected president of the Estate Planning Council of Westchester County, a former president of NAELA (National Academy of Elder Law Attorneys), and a past chair of the Elder Law Section of the New York State Bar Association. Littman Krooks LLP offers legal services in several areas of law, including elder law, estate planning, veterans’ benefits, special needs planning, special education advocacy, and corporate and securities. The firm’s offices are located at 655 Third Avenue, New York, New York; 399 Knollwood Road, White Plains, New York; and 300 Westage Business Center Drive, Fishkill, New York. For more information about Littman Krooks LLP, visit www.littmankrooks.com. While all relationships do not end amicably, divorced or divorcing parents of minor children should put aside their differences in order to plan for their children’s future. There are several key issues that should be considered before or during a divorce: guardianship, financial inheritance, and remarriage. Guardianship is an important issue that parents should discuss with great care. When you die, guardianship of your minor children will pass to their surviving biological parent. This is true even if you had full custody of the child, unless a court finds that the surviving parent is unfit to care for the child. You and your ex should discuss and provide for the appointment of alternate guardians. Doing so will make you and your children feel more secure about the future. Your will should provide that your children’s share of your estate is held in trust. You will need to appoint a trustee who will be responsible for maintaining the trust assets, as well as making distributions to the guardian for the benefit of your child. It is important to remember that the trustee and guardian will have to work together on a regular basis. If you and your ex can agree on a trustee with whom you are both comfortable, it will make the process easier on all of the involved parties. Remarriage inevitably affects your financial situation. It is important to remember that if you don’t make provisions for your children in your estate plan, your assets may end up going entirely to your new spouse when you die. This can be easily avoided. If your first spouse was the designated beneficiary of your 401(k), pension, life insurance policies or retirement plans, you should also remember to change the beneficiary designations, or your ex may end up with a considerable part of your assets, and your new spouse will be left out. To learn more about New York elder law, New York estate planning, visit http://www.elderlawnewyork.com. When it comes to living arrangements, senior citizens have many options. They can choose independent retirement communities, assisted independent communities, at-home assisted living, at-home care, live-in nursing homes, and more. While having so many choices to consider can be beneficial, it can also make the search more confusing. Make sure the facility you are evaluating is licensed. Ensure that the facility is financially stable. Get referrals from people who have previously conducted such a search. Visit the facility to assess the accommodations and the staff. Ask for the opinions of current residents. Consider whether or not it can meet your loved one’s current and future needs. Ask about payment options (including Medicaid). Asking these questions will help you find the right living arrangement for your loved one. It is, however, important for you to discuss your choice with your elder law attorney, since nursing home and assisted living contracts can contain unwelcome surprises.